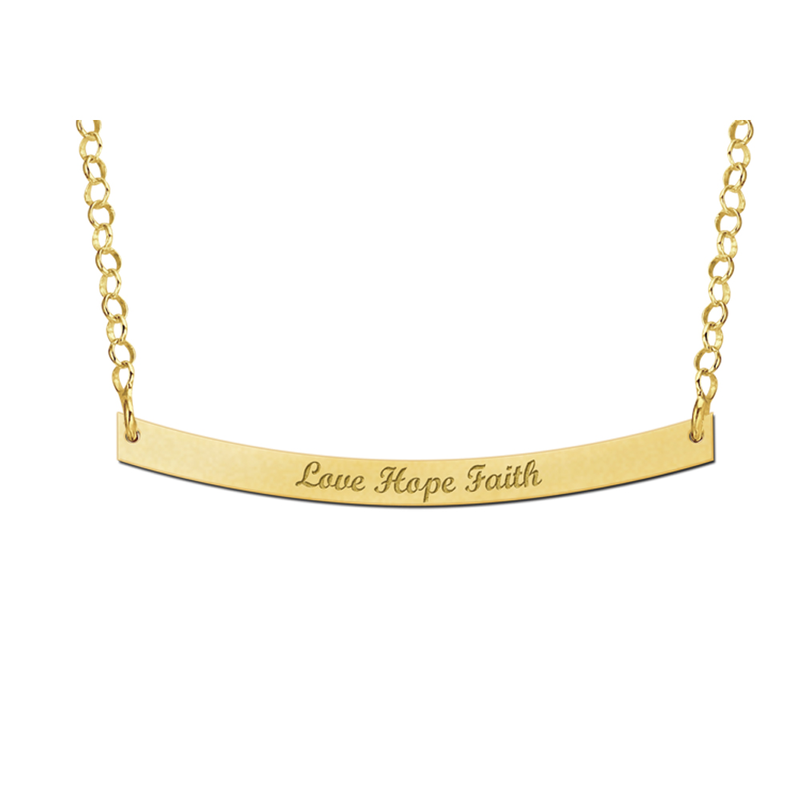 The Bar Name Necklace is the newest trend and of course available at Names4ever! 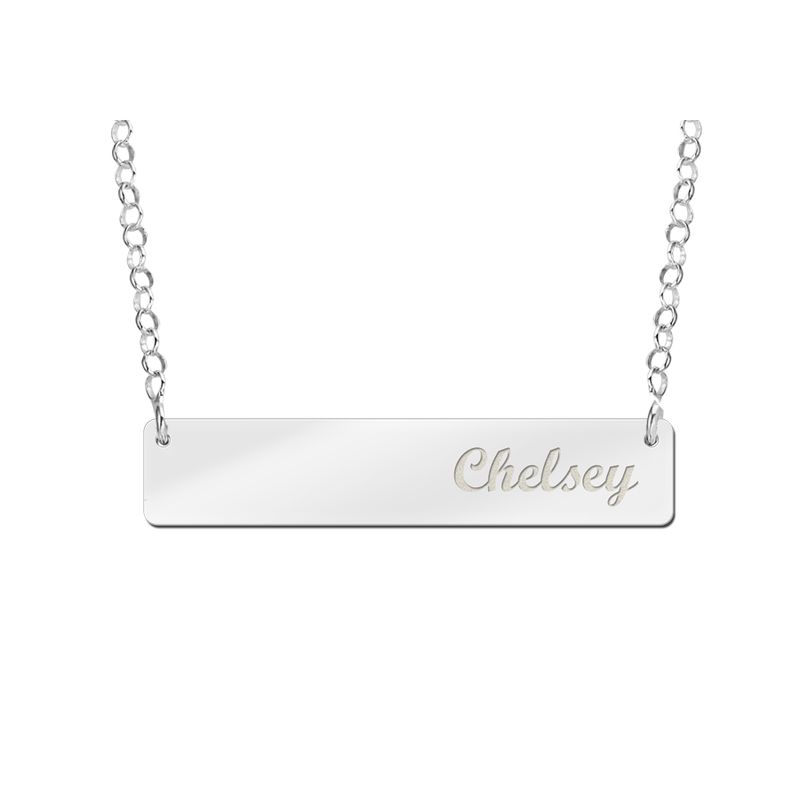 What an astonishing idea to let us engrave your name on the silver or golden name bar necklace. 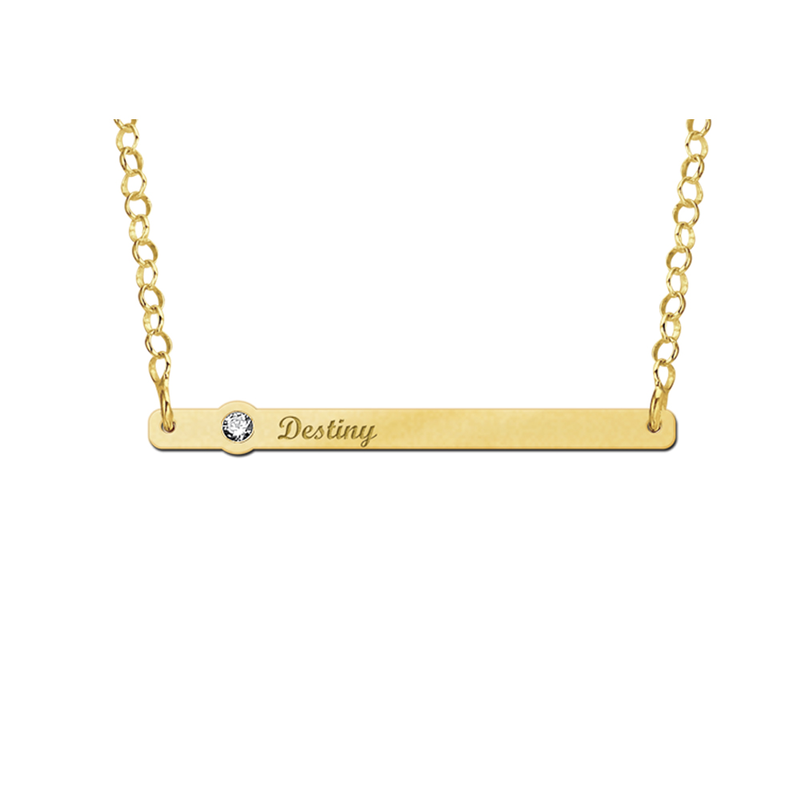 The name bar necklace is something really popular and you see them a lot in fashion magazines nowadays. 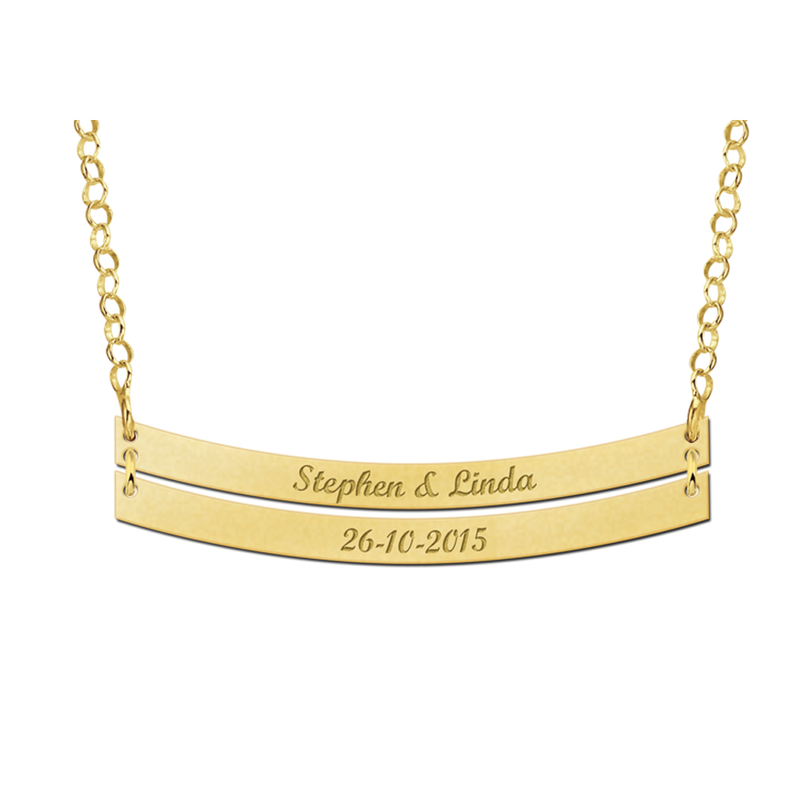 Our name bar necklaces are made from premium sterling 925 silver or from 14 carat gold. 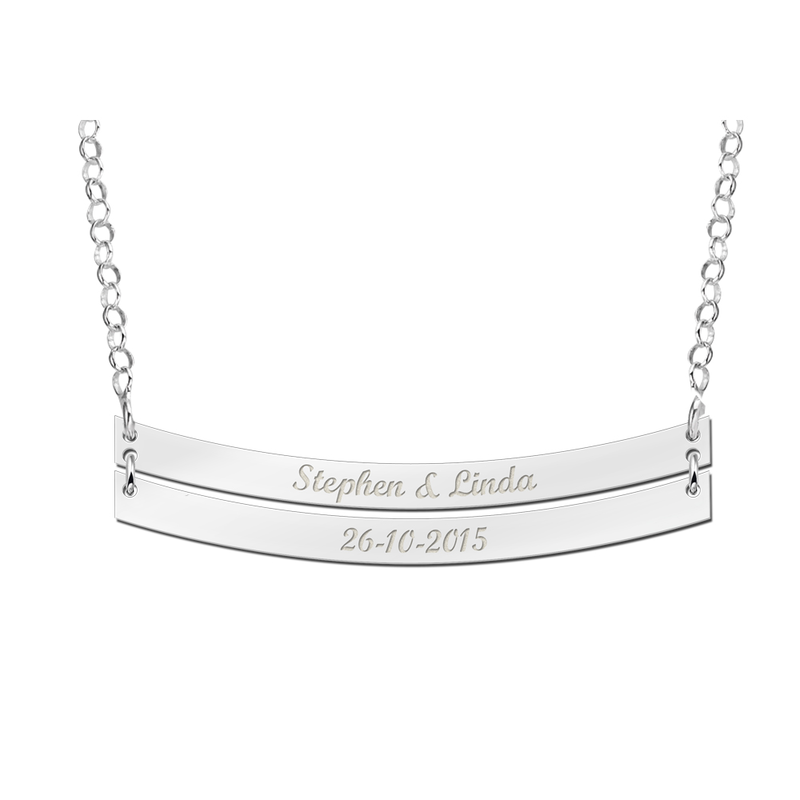 We have the widest range of name bar necklaces and each of them can be personalised by an engraved name. 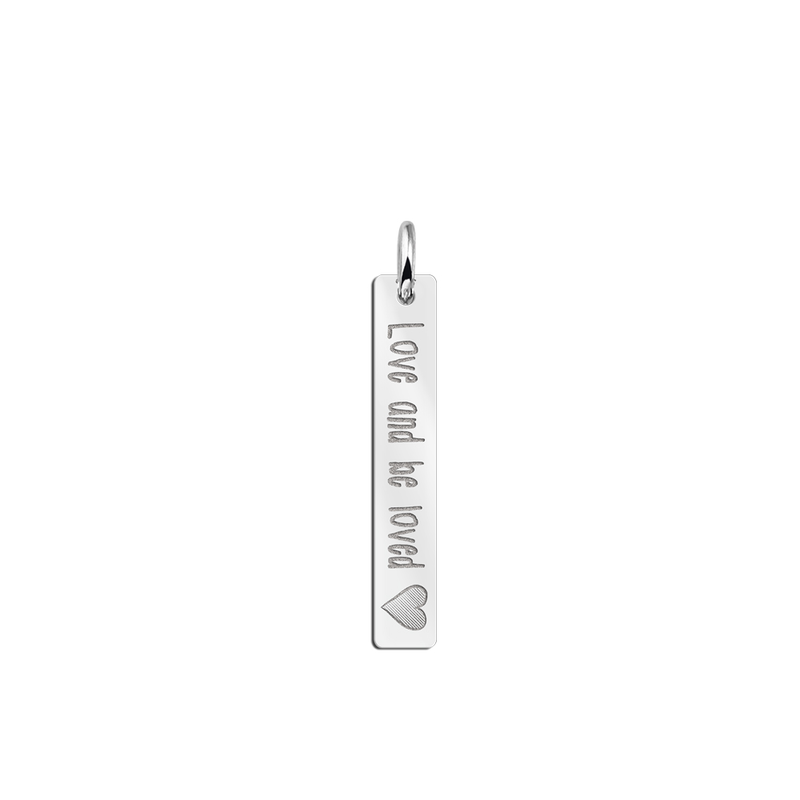 You could let us engrave your own name or perhaps the name of your partner or best friend. 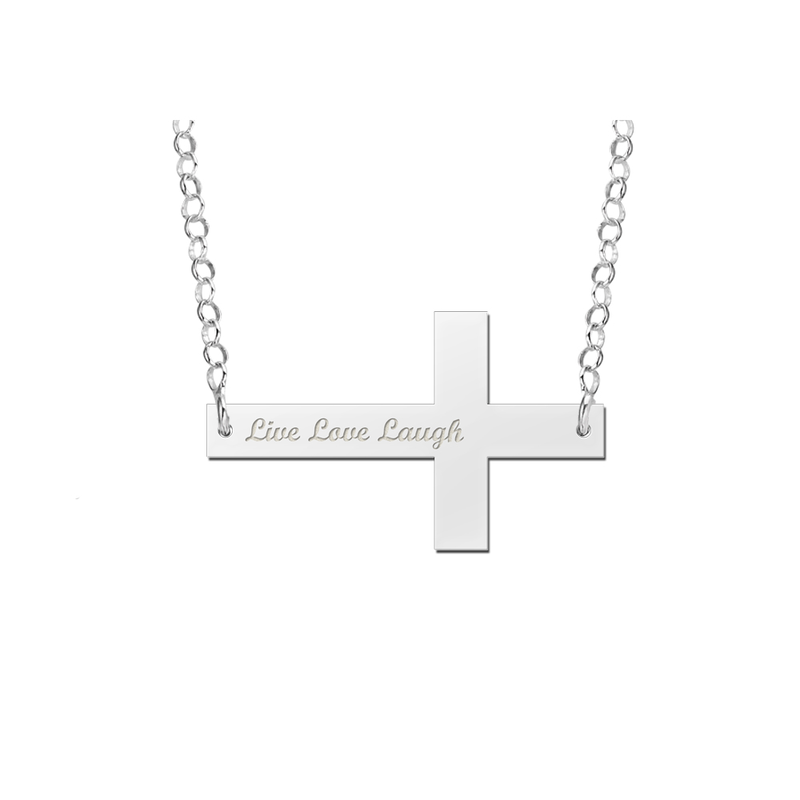 We will produce each of the name bar necklaces with great care and lots of pleasure. Please provide us with the name or text of your choice and we will make sure you’ll receive it personalised and polished with the brightest shine! Are you looking for that unique gift for you precious wife, beloved daughter, your sister or perhaps the most careful mother of all time? Then this name bar necklace is exactly what you are looking for! 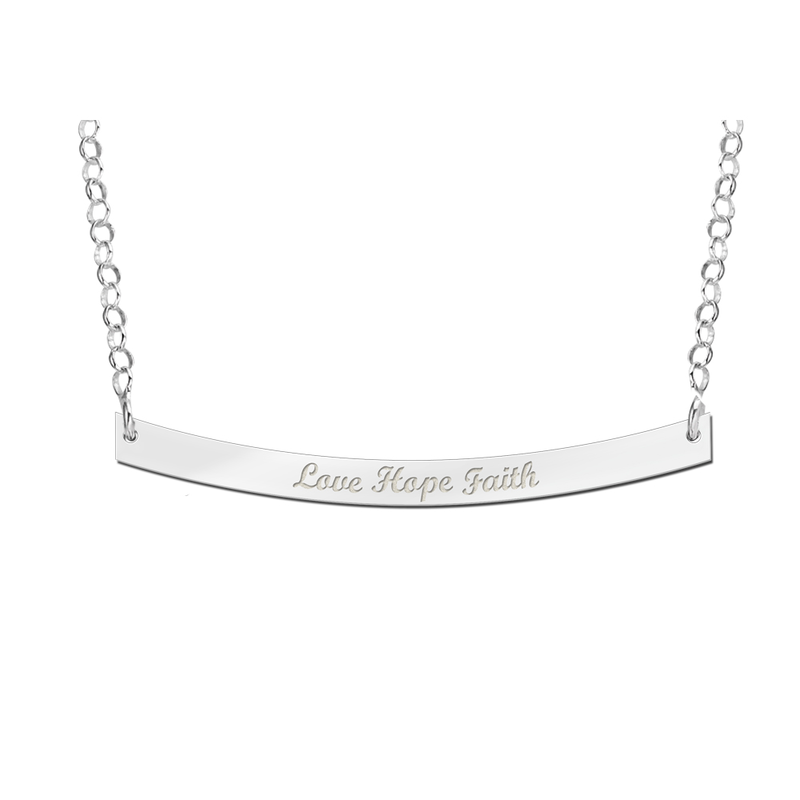 This silver or golden name bar necklace is a gift that will excite each woman. It is a personal gift that makes the woman look astonishing. The golden or silver name bar necklace will shine bright because we polish all of our jewellery until we are satisfied with it. Perhaps your beloved girl has her birthday soon and you want to surprise her with a very unique and personal gift. 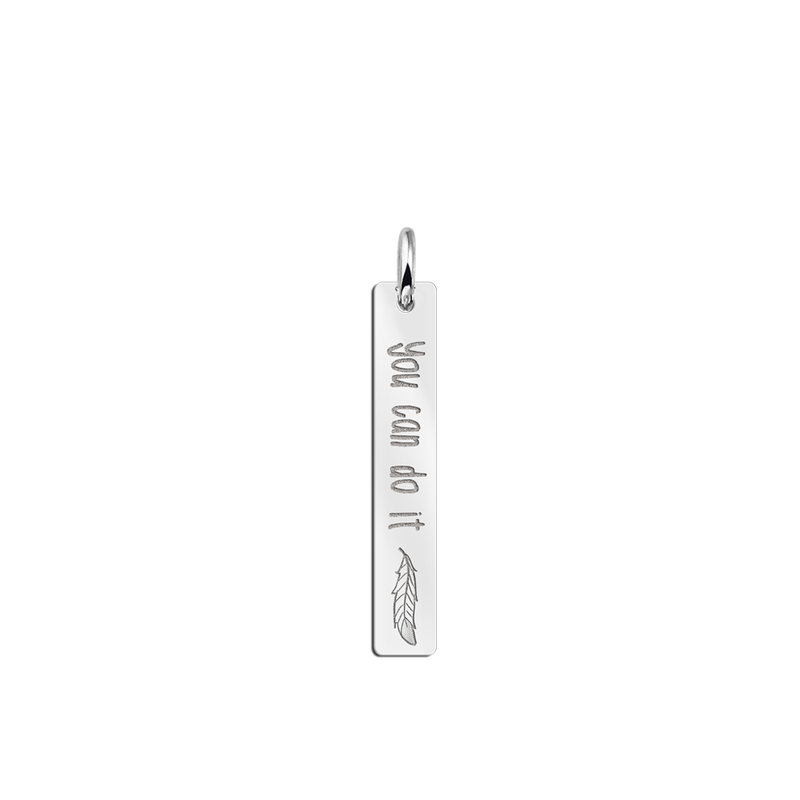 With our silver or golden name bar necklaces you will always succeed. Or perhaps your daughter has passed her exams and got her degree? The name bar necklace is a gift that will make her charming and it will remind her of the good performance. Or you just want to surprise your girlfriend or wife? 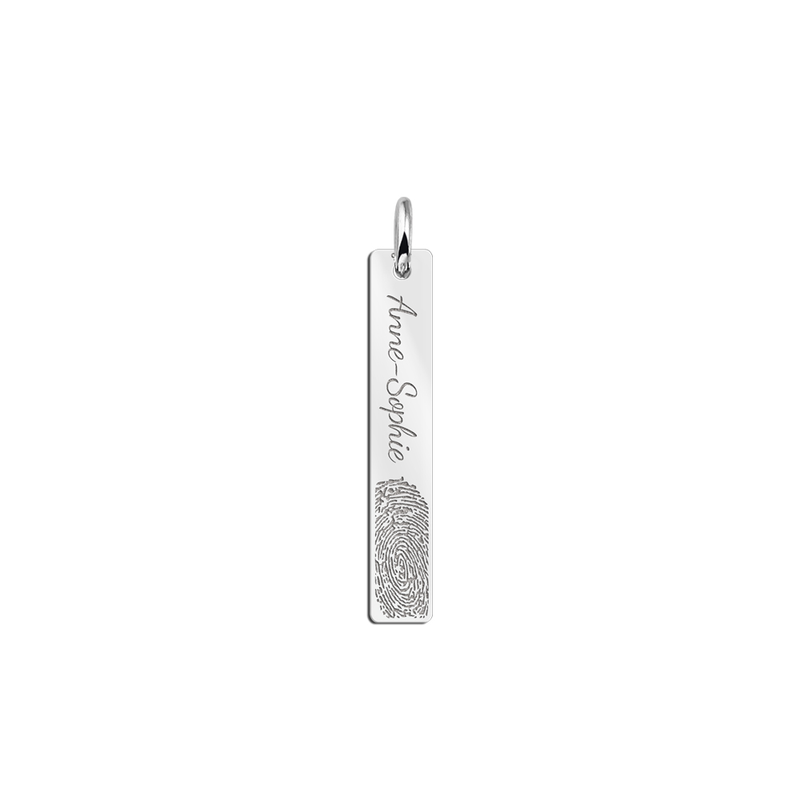 It doesn’t matter when or why, giving a name bar necklace with a name engraved is always a lovely gift! One person rather has silver jewellery and the other prefers gold. 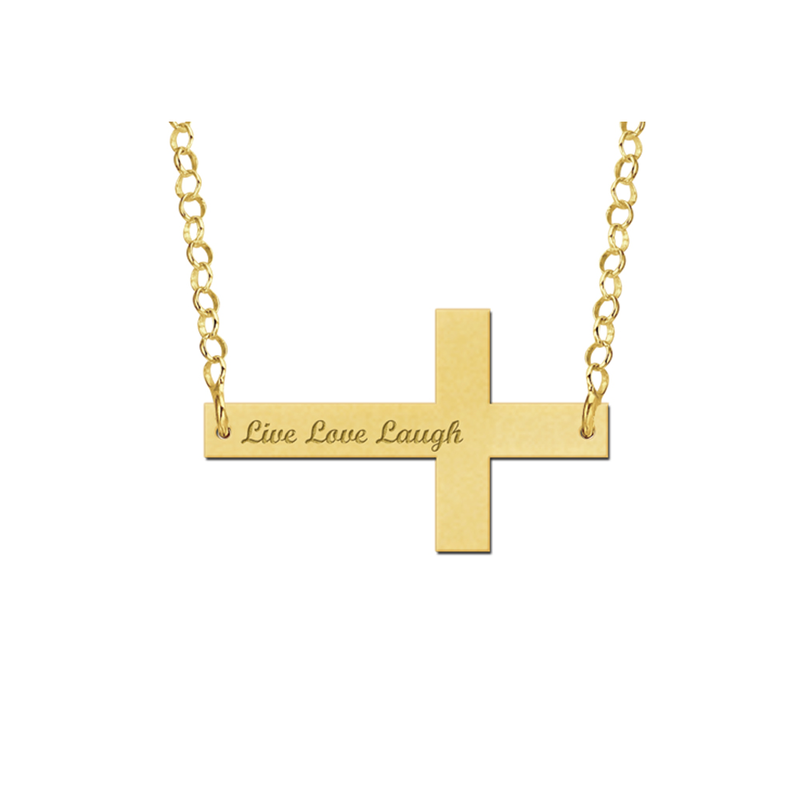 That is why Names4ever offers the name bar necklace as well in 14 carat gold. It is lovely to combine this with your other golden jewellery. Are you only interested in golden jewellery? 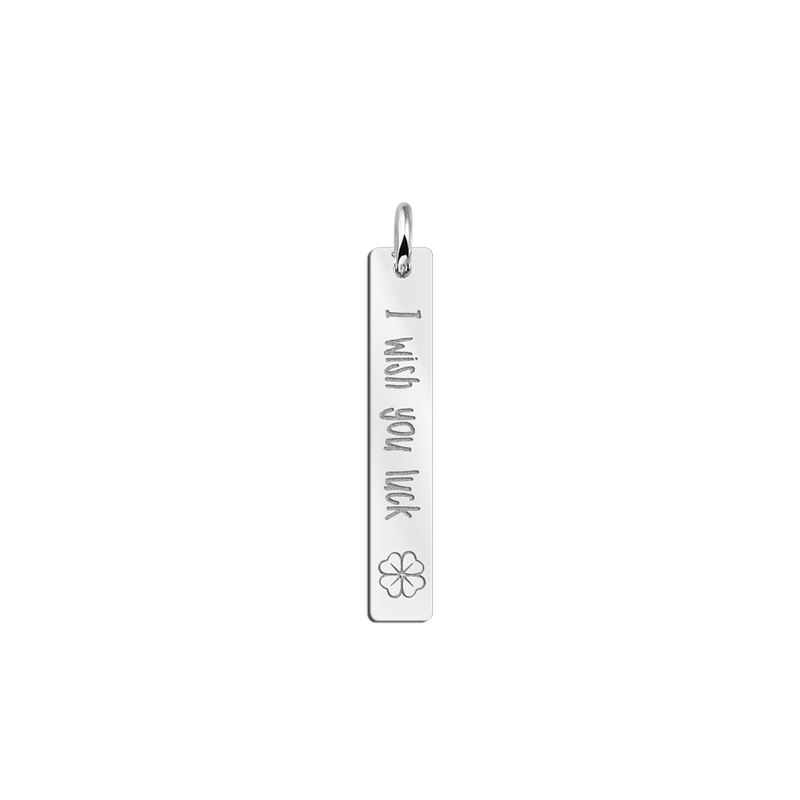 Than take a look at our other golden name jewellery. What an elegent piece of jewellery you will have with this golden bar necklace. Do you prefer silver over gold? Then of course choose one of our silver jewellery. These silver name bar necklaces are very loved by young people. 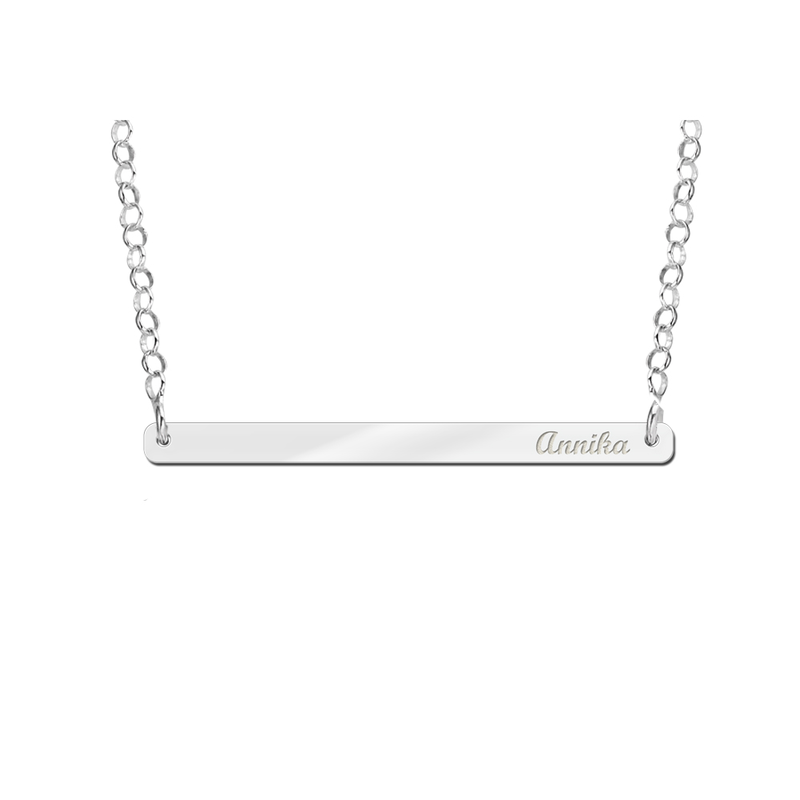 It doesn’t matter if you choose for a silver or gold bar name necklace with the name engraved, you will always look charming and astonishing. Don’t forget to look after your golden name bar necklace if you purchase it. It is wise to use your parfum before wearing the name bar necklace. Furthermore the same is so for skin care products as body lotion or body crème. When taken good care for you name bar necklace, you can enjoy it forever. Ofcourse the name bar necklaces can be used for as well adults as children. Teens and young girls are really fond of these name bar necklaces. 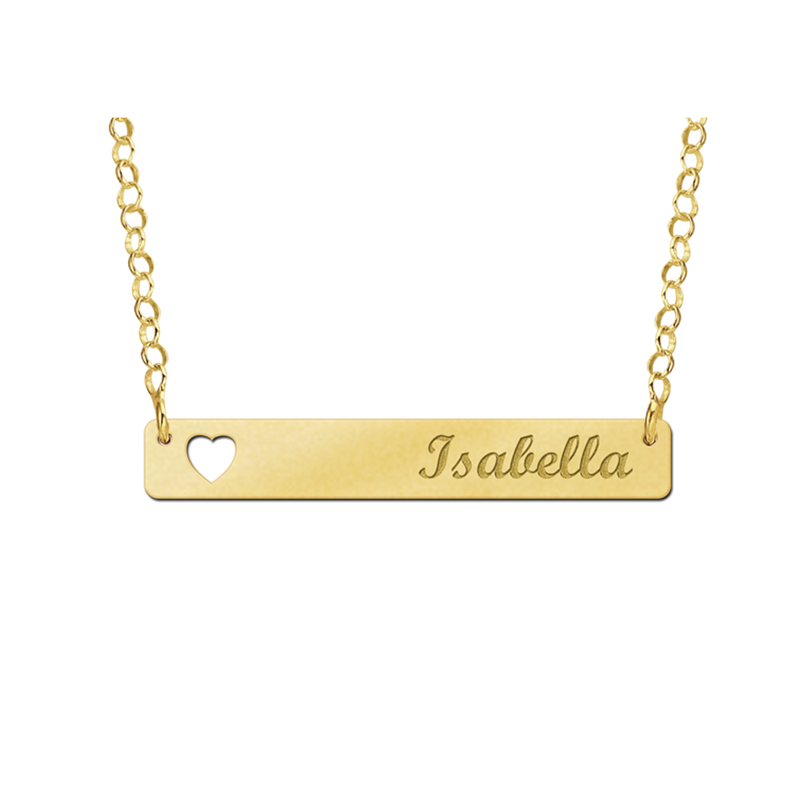 A name bar necklace of gold is really nice to receive as a gift from your mother, father, grandfather or grandmother. A bar name necklace with a personal text or message in it is always nice to get, but of course nice to give away to your little princess as well. Besides that it is a magnificent gift, it is something that will keep forever. That makes sure that your little girl will enjoy her gift a lot. Please provide us with the name or text and we will personalise it with lots of love and pleaser. Thus order your personal name bar necklace now and surprise yourself or your beloved one with this beautiful gift!